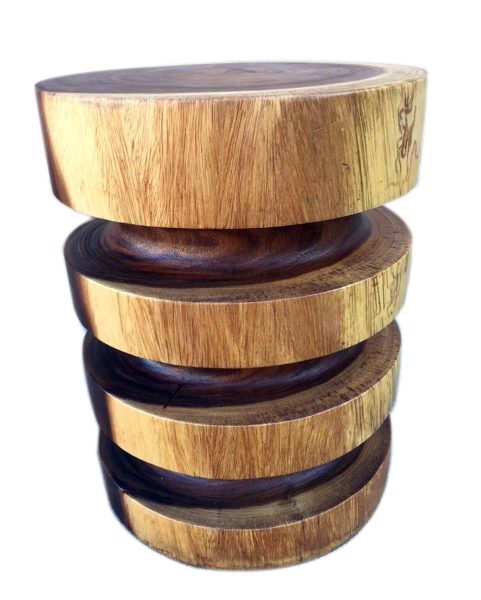 The three ring end table is a contemporary piece with organic character. 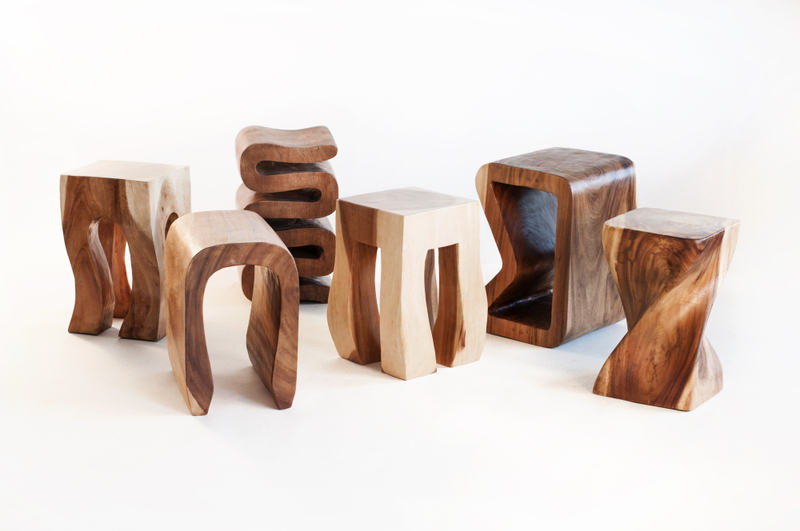 It can function as an end table, stool or occasional table. 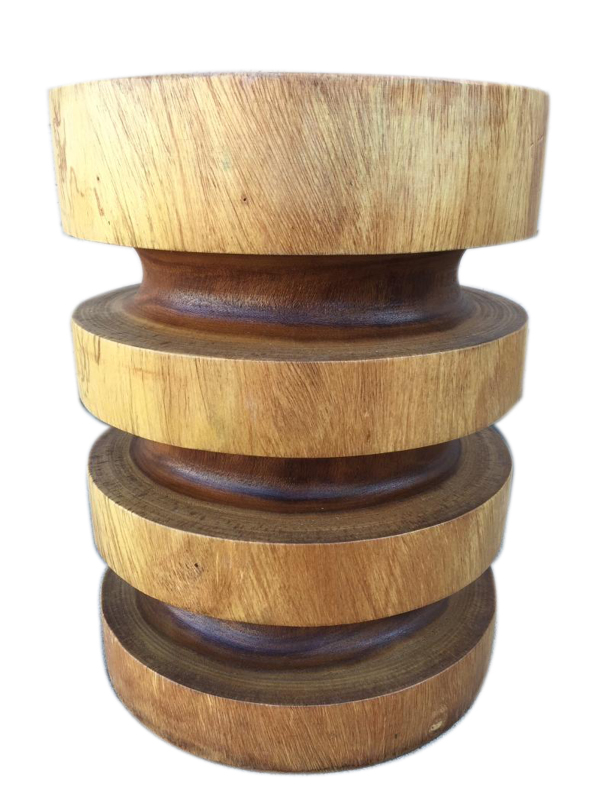 It's a sturdy piece carved from a single piece of tropical hardwood. Note that each piece has it's own wood character and tone. The piece you receive may vary a bit from the photos. W 14" / D 14" / H 18" / 38 lb.